The Multicultural Business Expo will be held on Wednesday, September 5 from 11 a.m. – 3 p.m. at the Milagro Centre in Carmichael. Job seekers should be prepared with resumes and proper business attire to meet with the many businesses that will be on hand. SACRAMENTO REGION, CA (MPG) - Now in its ninth year, the Multicultural Business Expo has relocated to the Patriot Event Center at Milagro Centre on Fair Oaks Boulevard at Marconi Avenue. Olga Ivannikov, CFO of Russian American Media and the event’s organizer, is excited about the new location. “The expo is going to be both outdoors with canopies and indoors with a hall filled with exhibitors,” she said, adding that local restaurants, breweries, and wineries would be on hand with samples for hungry attendees and exhibitors. More than 100 businesses and non-profit agencies are expected to exhibit at this year’s event, which, based on the event’s continued growth, should draw more than 2,000 attendees from the greater Sacramento region. “This year we wish to make an emphasis on personal connections,” she said. The face to face meeting is why the event draws so many people. The expo provides a forum for small business owners to connect with other small business owners or with banks, credit unions, or with many businesses that offer subcontracting opportunities. 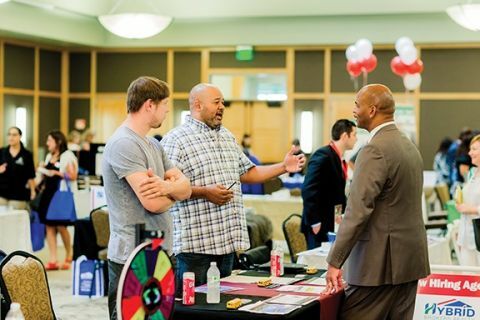 For students and recent graduates, there will be opportunities to connect with businesses that may have job opportunities like the Sacramento Sheriff’s Department or California Highway Patrol. Mid-career business people will also find opportunities to connect and pass out resumes. The general public can connect with possible service providers, pick up samples, and wander the booths. Some exhibitors will be familiar names throughout the region. SMUD’s Supplier Emerging Enterprise Development (SEED) team will help small business owners learn about state certification and bid on SMUD contracts. “They’ll provide an overview of our business contracting procedures and explain the SEED program in detail,” said Chris Capra, SMUD’s Public Information Specialist. Exhibiting at this business expo helps SMUD grow its pool of qualified potential contractors and helps business owners learn how to maneuver the state’s certification program, a win-win for both. “SMUD also realizes reciprocal benefits by promoting the economic development of its customers who own the company,” added Capra. Other exhibitors, like Language World Services, Inc., may be less familiar. This translation and interpretation organization, located in Carmichael, provides services in more than 80 languages for healthcare, law enforcement, conferences, insurance, disaster preparedness, and many other areas. Job opportunities are available throughout the Sacramento region and San Francisco Bay Area. Exhibitors will be on hand in three different areas. The business expo will feature government and corporate entities offering resources and contracting opportunities to small business owners. Joining SMUD will be Siemens, DGS, and others. Owners interested in business financing, presenting their products or services, investigating export opportunities, and reaching new customers should stop by with business cards. Students and recent high school graduates may wish to peruse the educational opportunities area. Asher College, Sacramento Employment and Training Agency (SETA), Pacific Charter Institute, and CSUS will be on hand with information about undergraduate programs, the transfer process for community college students, opportunities for working adults, and the all-important financial aid. Asher College, founded in 1998, is a trade school specializing in medical, business, and IT with campuses in Sacramento, Dallas, and Las Vegas. SETA, now in its fourth decade, features Sacramento Works with offices in Sacramento, Mather, Galt, Rancho Cordova, and Citrus Heights. Job seekers should be prepared with resumes and proper business attire to meet with the many businesses that will be on hand. Connect with Wells Fargo Bank, SAFE Credit Union, American River Bank, and others to learn about available positions, the hiring process, or to submit your resume in person. Other exhibitors with business or learning opportunities include GRID Alternatives, a non-profit organization based in Oakland. GRID works in the highly popular field of renewable energy and offers volunteers the opportunity to assist with installation projects, a sort of try before you buy idea. GRID also has training, certification programs, and jobs. ANG Health Care, Inc., located in Folsom, will be on hand to discuss its offerings in skilled nursing, speech therapy, and in-home care services. Insurance companies, accounting firms, medical offices, and health clubs are expected to be on hand to answer questions and provide information. The expo has grown each year and draws people from Sacramento County and surrounding areas. 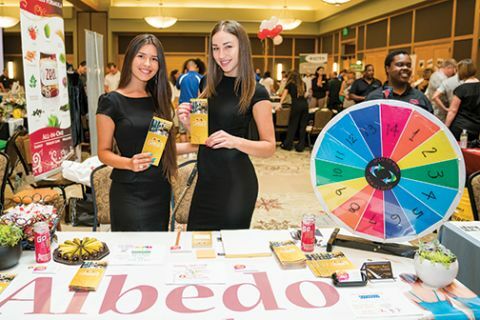 “We started out as a local community fair and grew into a major business exposition which is organized by a number of non-profits and all major chambers in the Sacramento valley,” said Ivannikov. “We reach out to Rancho Cordova, Roseville, Elk Grove, West Sacramento, Sacramento. We contact all of the multicultural chambers, the Asian Pacific, Hispanic, African American, and the metro chamber.” For more information: visit www.russianamericanmedia.com/our-events/business-career-expo/ or call 916-677-9397. If you visit: The Multicultural Business Expo will be held on Wednesday, September 5 from 11 a.m. – 3 p.m. at 6241 Fair Oaks Blvd., Carmichael, CA 95608.